John “Jack” Paxon Harlan was born on February 9, 1866 in Guthrie County, Iowa to George Washington and Emma Webster (Brown) Harlan, the seventh of ten children. His father was a descendant of Michael Harland, who came to America in 1687, with William Penn and settled in Chester County, Pennsylvania. Jack’s parents were married in 1849 at Lancaster County, Pennsylvania and remained there until the 1857. In the Spring of 1857 Jack’s parents, along with his maternal grandparents relocated to Guthrie County, Iowa. The family would remain in Guthrie County until 1879, when they moved to Lake County Colorado. Leadville Colorado was incorporated in January of 1878 and soon Leadville had the reputation as one of the most lawless towns in the West. In 1879 a large vein of silver was discovered at Leadville and the boom started in earnest, which would last until 1893. “He was a resident of Leadville until 1889 when he began to travel, following mining operations for many years in Arizona, New Mexico, California, Western Washington and British Columbia.–(Source) History of Idaho, A Narrative Account of Its Historical Progress, Its People and Its Principal Interests (Vol. 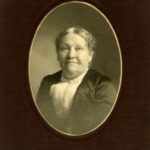 2) – Hiram T. French, M. S.
Three of Jack’s sisters, Florence Nightingale (Harlan) Dunkin, Evangeline St. Claire (Harlan) France and Frances Josephine (Harlan) Trumbull, all came West and settled in Washington state where they lived out the remainder of their lives, primarily in the Grays Harbor area. Jack came West and spent a time teaching at Humptulips, Grays Harbor, Washington, as referenced in his obituary. The Bureau of Land Management (BLM) has record of Jack purchasing 120 acres, close to Mopang Creek, on January 20, 1892. 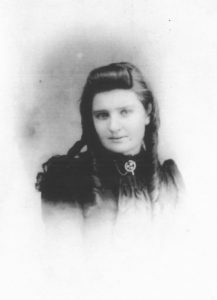 He transferred the property to his sister Eva H. France, in July of 1892. That summer he went to Greenwood, British Columbia, where he continued mining. 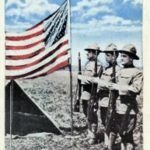 There is also an article that appeared in the Leadville Herald Democrat on June 12, 1899 that credits Jack with being the soldier who infiltrated a stone building full of enemy combatants and set it ablaze. However, it appears this was actually a Private Harlan from Company K, 1st Washington and not Jack. According to his military file, Jack was part of the “Advance on Malolos” from March 25-31, 1899, which included both the 1st Washington Company and the 1st South Dakota Company. There is nothing in his service record noting a commendation for valor, or his actual duties. This may be one of those mysteries that is never solved. According to Jack’s enlistment papers he was a resident of Leadville, Colorado, in 1898. It appears he used his mother’s residence, for convenience purposes. Jack, along with his uncle, Elwood Channing Brown, spent several years in Greenwood, British Columbia and newspaper accounts, from the area, state he first arrived at Boundary Creek in the summer of 1892. He appears to have traveled between Canada and Colorado several times, in the 1890s and worked in both locations. Jack, along with his uncle, continued mining in the Boundary District until at least 1901, they are both listed in the 1901 census. Jack left Canada and relocated to Idaho, in 1902, where he pursued mining and eventually took up a homestead in what was then Shoshone County but is now part of Clearwater County. He would remain in the Clearwater Valley, the rest of his life. 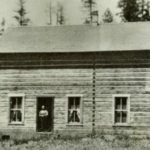 “In 1902 he came to Idaho and after engaging in mining for a time took up a homestead in what was then Shoshone county, in the timber district. He proved up on his land, and then disposed of the homestead and his placer properties.–(Source) History of Idaho, A Narrative Account of Its Historical Progress, Its People and Its Principal Interests (Vol. 2, pub. 1914) – Hiram T. French, M. S.
According to family lore during his time in British Columbia, he made a small fortune in mining. He invested this money into a mining venture at Okanagan, Washington and lost everything within days. If inflation calculators are correct he lost about $1.5 million, in today’s dollars. There is a Bureau of Land Management (BLM) record of Jack securing a Mineral Patent on December 20, 1905, for 4.34 acres in Okanogan County, Washington, close to Buckhorn Mountain. Ironically the geographic name of the location, on his patent, was Jack Pot. Jack Pot was not the only problem Jack faced in 1905, in July, Jack suffered another financial setback, in what would become known as the big “Harlan Fire.” The fires raged through the white pine forest near Pierce City and devastated his homestead. THREE NOW RAGING IN WHITE PINE BELT OF THE PIERCE CITY DISTRICT. The largest fire is in township 40, range 6 east, on Beaver creek. At this time the fire has destroyed about 80 acres of the John Harlan claim and is threatening adjoining timber. The Clearwater Timber company has 16 men fighting the fire, but they are unable to control it. It is supposed to have started from lightning during a light thunder shower. In 1905 William Dwyer was indicted, along with William F. Kettenbach, George Kester, Clarence W. Robnett and Ed L. Knight. Dwyer was charged with conspiracy to defraud the government of timber lands and six counts of perjury. 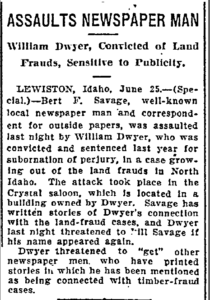 In 1909 another related complaint was filed and Dwyer was named as a defendant. Dwyer appears to have been an all around despicable character, there are newspaper accounts Dwyer engaging in jury tampering, assaults, threats etc. The cases against Dwyer and his cohorts continued to make news for many years but I have found no evidence any of them ever served any time behind bars. “Timber Cruiser” Entertains Associates at New Capital. was born March 20, 1876 in Illinois and the Stiles family settled in the Clearwater Valley, in 1891. I have no way of knowing for sure but I speculate Jack’s introduction to his future wife was through one of Emma’s brothers, most likely Walter, or Albert. The reason being is both Walter and Albert were keenly interested in mining and followed the trade most of their lives. The couple were married on September 26, 1906, by Rev. William Lattimore of the Presbyterian Church, in Lewiston. The birth of their first child and only son, George Washington Harlan, would follow on July 8, 1907. They would have two more children, Stila Myrtle, April 2, 1909 and Eda Belle, March 13, 1911. 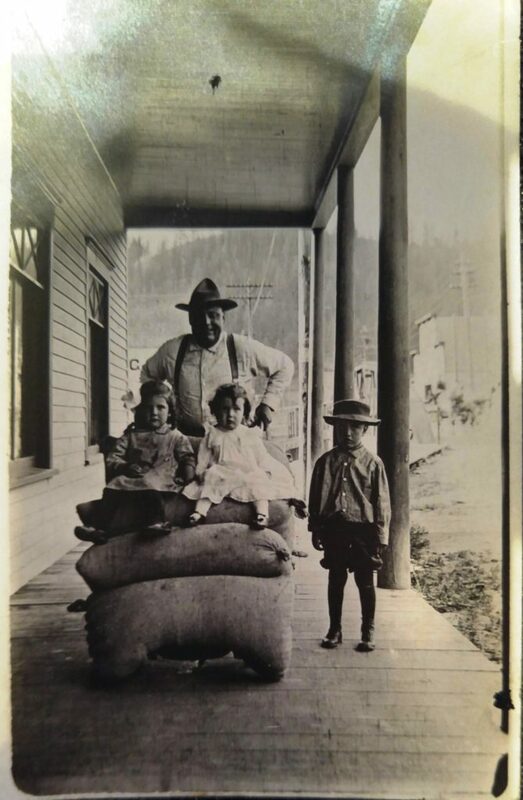 In 1910, Jack had relocated his young family and was residing at Upper Ford’s Creek, near Orofino. By 1912, Jack and Emma had built a home, for their young family, in Orofino. The house still stands and its present day address is 534 Brown Avenue. Jack also owned a farm in Harmony Heights and built several other houses, in Orofino, many of which are still standing today. Unfortunately Emma would die of sepsis, brought on by a bout of tonsillitis, on March 8, 1912. John was left a widower with three small children, the youngest, Eda Belle, commemorated her first birthday the day after her mother’s funeral. Jack pursued many interests and walked down many career paths, in his eighty-five years. 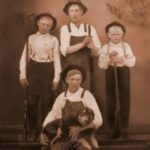 I have covered his early mining and military earlier in this post, following are some tidbits and interesting items I have found during my family research. In November 1908 a severe snow storm accompanied by extremely cold weather came to the Forest. After the storm, Jack Sprague and Fred Dennison started to go over their trapline from their cabin at Jackknife Meadows. They found the body of a man who had camped by the trail. He had only a small piece of canvas for shelter. His clothes were in rags and he had no coat. He was equipped with a bow and arrows but he had no firearms. Apparently he had died of exhaustion, starvation and exposure. After Emma’s death, Jack remained in the Orofino area and was active in the local government, serving as Village Trustee 1913, County Board of Commissioners 1915-1916, President Farm Bureau, Clearwater County 1916, County Assessor 1918-1922 and Deputy Assessor 1926-1933. Jack owned a feed and grain store, which was located where the current Helgeson Hotel now stands. JOHN P. HARLAN, strictly a self-made man and one of the essentially representative citizens of Orofino, Idaho, is here most successfully engaged in the grain and feed business … The year 1910 marks his advent in Orofino, where he immediately established his present business; he carries a full line of flour, feed, hay, grain, wood and fuel, being a heavy shipper of wood.–(Source) History of Idaho, A Narrative Account of Its Historical Progress, Its People and Its Principal Interests (Vol. 2, pub. 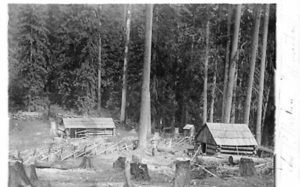 1914) – Hiram T. French, M. S.
Jack also operated sawmills, within the region, where he became known as the “Wood King of Clearwater County,” for having cut as much as 3000 cords, of wood, in a year. It is quite possible he was running the sawmill and mercantile businesses simultaneously, given the products he supplied. Jack also served as the County Historian for many years (1920s & 1930s) and was noted for his knowledge of the region and the Lewis and Clark expedition. 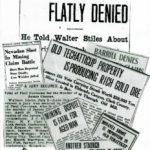 He wrote several articles on the topic, which were published in the Clearwater Republic and Clearwater Tribune during the 1920s and 1930s (PDF of these articles can be downloaded here). 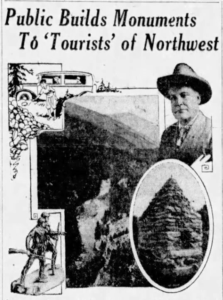 The Northwest’s first “tourists” are to be honored by men who follow in their footsteps … Believing that the public will pause to honor the two men who first crossed the continental divide to add a new empire to the American nation, Jack Harlan, of Orofino, Ida., conceived the drafting of the public’s muscular assistance. In addition to the rock cairns, Jack erected three bronze plaques, at three sites, along the Lolo Trail. Theses markers were furnished by the Alice Whitman Chapter of the Daughters of the American Revolution. Only one of those original markers remains today, Glade Creek Camp, it can be seen at Lolo Pass Visitor Center on US Highway 12 on the Idaho-Montana border. Jack became a single parent, after the untimely and tragic death of his wife, Emma. He raised his three children, George, Stila and Eda Belle, with the help of his housekeeper, Anna Laura Monroe. Mrs. Monroe, would remain close to the family until her death in August of 1954. After Jack’s children became adults Mrs. Monroe was a surrogate grandmother to Jack’s grandchildren. Mrs. Monroe was also a caregiver to Margaret Carroll, Maggie too would be considered a member of the family and cared for by Stila and her husband Charley, until her death in December of 1965. In 1927, Jack would experience another great tragedy in his life, when his youngest child Eda Belle became ill, with appendicitis. Eda Belle had surgery at St. Joseph’s hospital, in Lewiston, and it was thought she would make a full recovery. Unfortunately complications set in and she passed away on December 20th. Miss Eda Belle Harlan, 16, passed away at 6:55 p.m. yesterday following an operation last Wednesday for appendicitis, at St. Joseph’s hospital. Jack’s two remaining children would forge successful careers and live out their lives, in the region. His son George would follow in his father’s footsteps and become a timber cruiser, for Potlatch. George married Winifred Bateman, in 1939, they were the parents of three children. His daughter Stila, became a well known elementary teacher, in Orofino. Stila married Charles H. “Charlie” Gleason, in 1931, they had three daughters. Jack was a big part of his grandchildren’s lives and was much loved and adored by them, particularly Stila’s youngest child, S. Elaine Gleason. 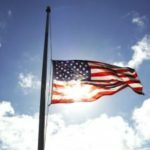 John P. “Jack” Harlan passed away on October 7, 1951, in Orofino; he was 85 years old and had lived a long productive life. His love of history, thirst for knowledge and sense of adventure being his lasting legacy, to both his community and his family.